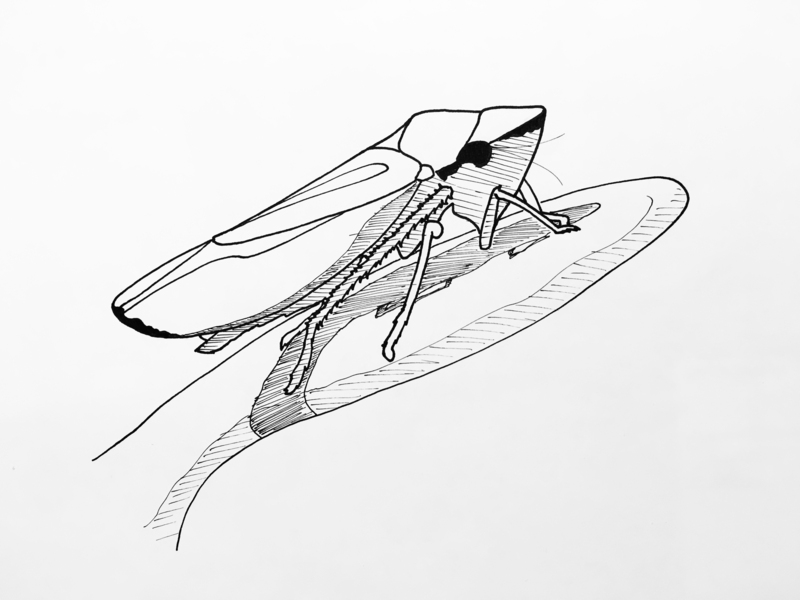 Leafhoppers (scientifically, Cicadellidae) are small, bendy-kneed insects whose diet of plant sap makes them common garden pests. There are about 22,000 known species of leafhopper, and most of them produce particles called brochosomes — tiny spheres a few micrometers in diameter, with indentations all over them like the dimples on a golf ball. The brochosomes are secreted in a substance that the insects rub on their skin to make themselves waterproof. Leafhoppers also rub the substance on their eggs — and until recently, no one knew why. When engineering researchers at Penn State University made some brochosomes in the lab using a novel nanomanufacturing process, they discovered that the shape and structure of the brochosomes prevent light from being reflected in any direction. The light that hits the brochosomes is completely absorbed. Because of the indentations on the brochosomes, the angle the light is coming from makes no difference. This effect helps leafhoppers hide their eggs from predators — the light-absorbing properties of the brochosomes make the eggs look just like the leaf they’re sitting on. The Penn State w confirmed this in two ways: first by analyzing the geometric properties of the brochosomes, and then by looking at brochosomes and various leaf species with a program that simulated ladybug vision. These investigations of the brochosomes revealed “a performance that is comparable to the state-of-the-art synthetic antireflective coatings,” according to the researchers. Highly intrigued, they did further experiments on their synthetic brochosomes and found that the least light was reflected by brochosomes with the greatest amount of indentations per surface area. They also found the optimal ratio of indentation depth to indentation diameter for reflecting as little light as possible. These findings will likely be used to improve technology with components that need to absorb as much light as possible — for example, devices that harvest solar energy.